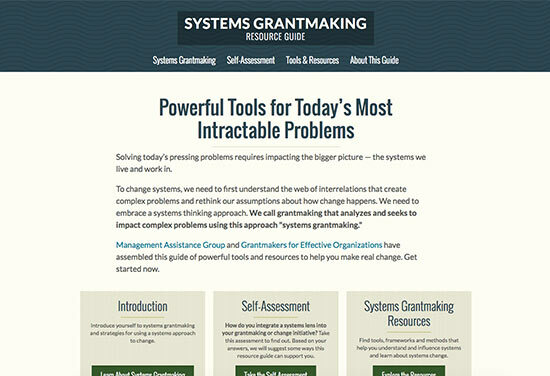 OE supported grantees Management Assistance Group and Grantmakers for Effective Organizations on a new resource guide and web site about Systems Grantmaking. Though the guide was written for funders, it is also helpful for any nonprofit engaged in the thorny work of systems change. If you’d like to learn more, try taking the guide’s Systems Change Self-Assessment, exclusively designed for social-sector organizations.